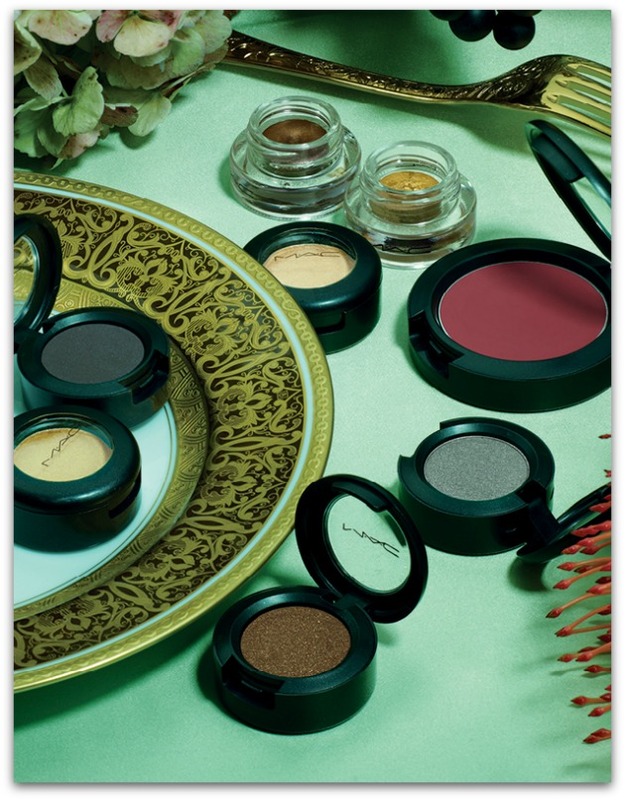 Rich and decadent, with saturated jewel tones and gilded, gleaming metallics, MAC’s Indulge collection hits counter next month and epitomises everything I like about the changing mood of autumn/winter beauty. Glamorous yet edgy, it seduces with offerings of wine stained lips, sultry, smoky eyes and the gorgeous glimmer of gold or burnished taupe on fingertips or lashlines. But there’s plenty here for lovers of colour, too – check out that acid green eyeshadow, and the delicious Impassioned nail polish, for starters. Five shades of lipstick and lipglass (€19 and €14 respectively), six nail lacquers (€11), two limited edition shades of Fluidline eyeliner (Gilt Gourmet and Deliciously Rich, €18.50) and cream blusher (€23) and eight eyeshadows (€16, all limited) make up the collection. Yep, it's safe to say I’m liking this a lot – is any of it calling your name? I'm so pleased the A/W collections are in, it's sooo inspiring. Seems MAC have really gone for it. Maybe a little too theatrical but some gorgeous colours to play with :o). Loving all that colour! Just know this is going to be sell out! First time ever that I am actually feeling drawn to a MAC collection. Especially those lippies. I don't like the first picture at all, the colours are off... It looks like the model's skin is greenish/yellow. I love the concept of the collection, the campaign looks very modern and fresh, but somehow the colours don't blow my mind. I guess I'll have to see it for myself in stores. This collection looks amazing. I love all of the rich deep colors. 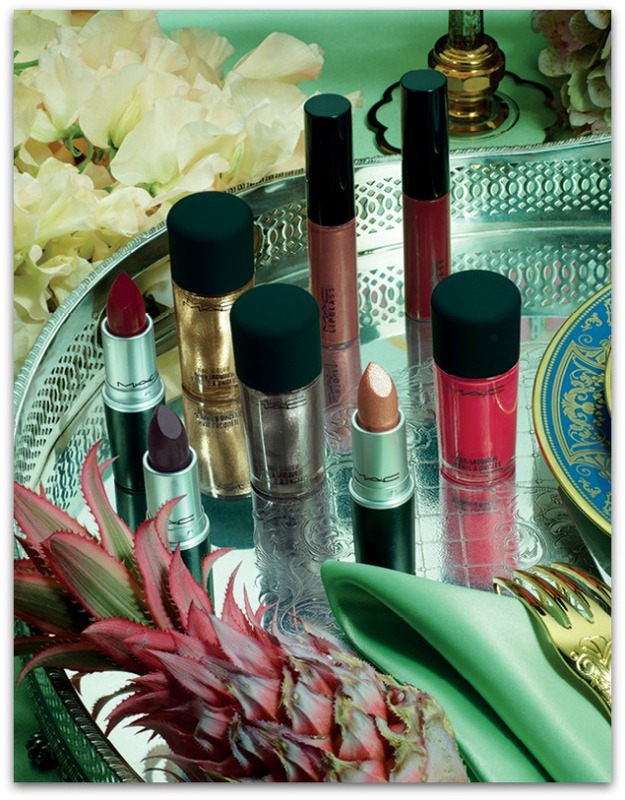 Loving the rich sumptuous tones in this fab collection! I'm a MAC girl. Love everything except their nail lacquer formulas. I like one lipstick color in particular. Ooooooh I want all the nail polishes! Im in love with this campaign. They really missed the mark for me last time but I'm back on board. Great post! 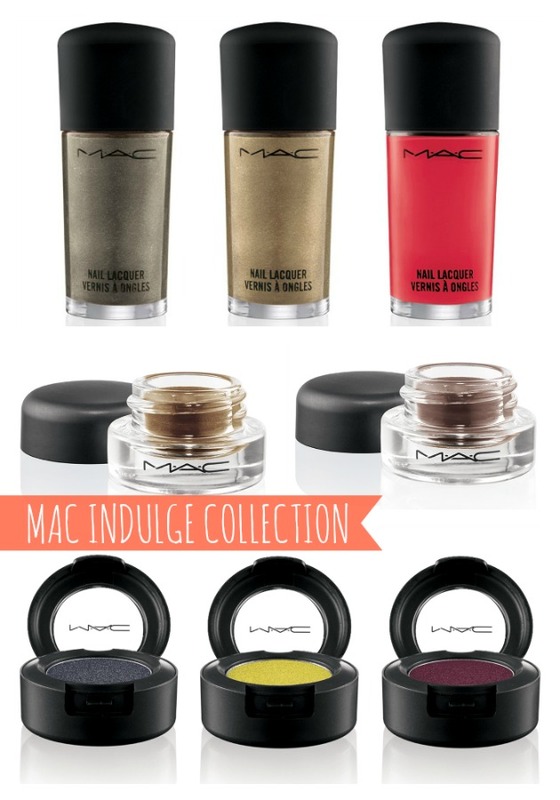 Oooh, I love MAC's eye shadow and it looks like this collection does not disappoint! Emma in the third picture, the brown and grey eyeshadow are they in the collection too? They look right up my street. Wow! Now that is a collection I am excited about and can't wait for Autumn! I love the glamorous photos you took. I can't wait to see how you show yourself all dolled up in the new shades!! I can't take credit for the images Johanna, they're all from MAC!